Celebrating Advent along the traditional Church calendar has become a very special tradition in our family. Over the last two weeks, I’ve been getting so many questions about recommended Advent resources so I wanted to take a few minutes to share some ways that we celebrate this special time of year. No fear, I’ve been putting the finishing touches on my annual Christmas gift idea lists and they will be live early next week! *ALL OF THE PICTURES BELOW ARE LINKS WHICH WILL OPEN PRODUCTS IN A NEW WINDOW. 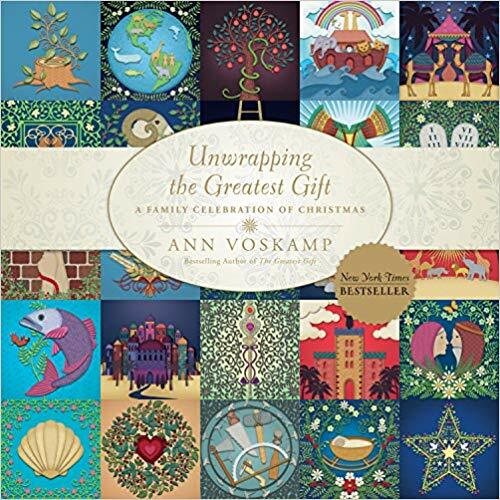 So this first book, “Unwrapping the Great Gift” is GORGEOUS. It reads like a song and captures the heart of God, the heart of Love Himself for His people. It is a beautiful, hardcover, wonderfully illustrated book. The second one is an accompaniment to this book (see additional pictures below). The companion book opens up to a large pop up Christmas tree. There are advent “doors” to open and each door contains an ornament to hang on the tree which corresponds to each daily Scripture reading. There is an ornament for each day of Advent. The whole thing is very sturdy and can stand up to little hands (but maybe not a little one standing on top of it!) I will note here that the second book with the pop-up tree does come with a mini paperback version of the devotional, so you could use it independently if you wanted, but they work really well together. Another wonderful resource for Advent are these Table Advent Cards from SheReadsTruth. SheReadsTruth started out as mainly a company/ ministry to get women in the Word of God everyday. 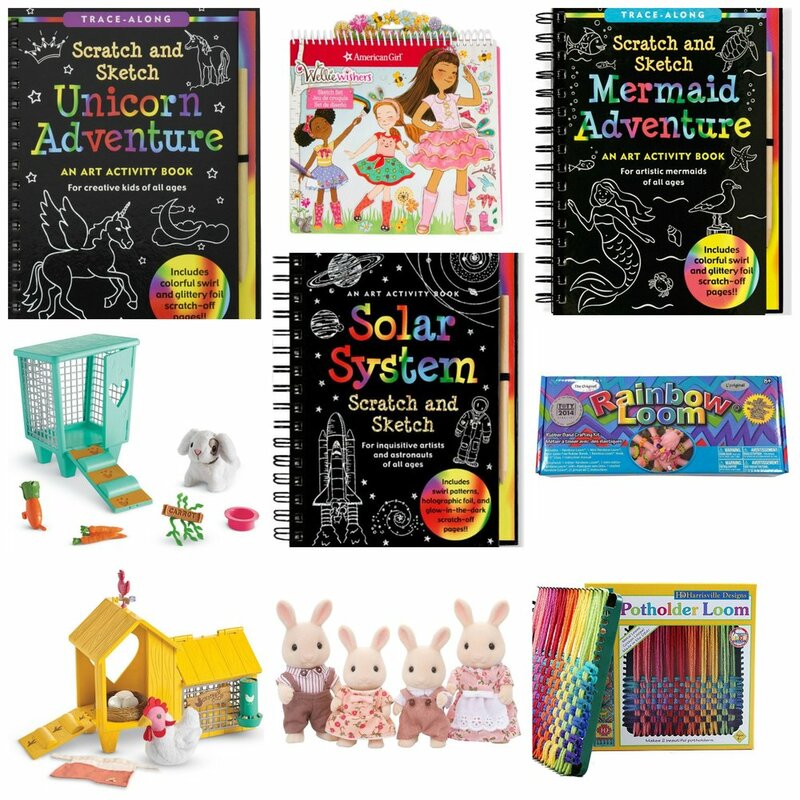 They have now expanded and have really embraced creating wonderful products for kids under the name KidsReadTruth. I have to say, I have been highly impressed with everything I’ve purchased from SheReadsTruth. I also do their adult Advent devotional study each year and it is my own favorite, private tradition. As you’ll see on the picture below, each card has discussion questions for varying age groups. They are so soft, but durable and will last for many years to come. We incorporate these during dinnertime throughout the advent season. 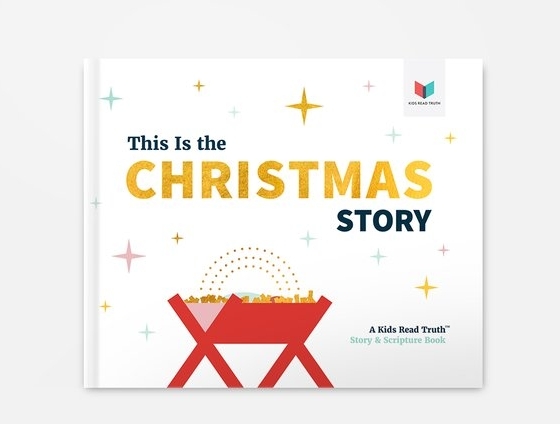 Another brand new resource from KidsReadTruth that I’m over-the-moon about is their new Scripture book, This is the Christmas Story. It is so well done and does a great job of expanding to tell the bigger story of a promise fulfilled in the person of Jesus. The main text on each page is simple enough for your littlest ones, but there are full corresponding Scriptures on the bottom of each page which are an opportunity to go more in depth with your older ones. This is a great book to gift this year too! Another way we make Advent family time more special is by using our Waldorf Birthday Celebration Ring I purchased from one of my favorite Etsy shops, FromJennifer. Be sure to stock up on beeswax candles in advance, they often go out of stock on Amazon close to the Christmas season. You could add a candle each night or just do them all at once, but it really does make it special. It would also be an awesome time to remember the Jewish menorah and all its symbolism as well. Last year, my sister bought Holiday one of those punch out cardboard Advent calendars from Target. Each day had a different part of the nativity. It was super cute, but not very sturdy. We ended up gluing some of the pieces, but it was still very much enjoyed. Our Target didn’t have them yet this year, but might be something to watch out for! Instead, this year, I purchased this gorgeous wooden peg people nativity from another one of my favorite Etsy shops, My Pretty Peggy. This set is pricey, but the details are gorgeous and it really is a family heirloom set to keep forever. 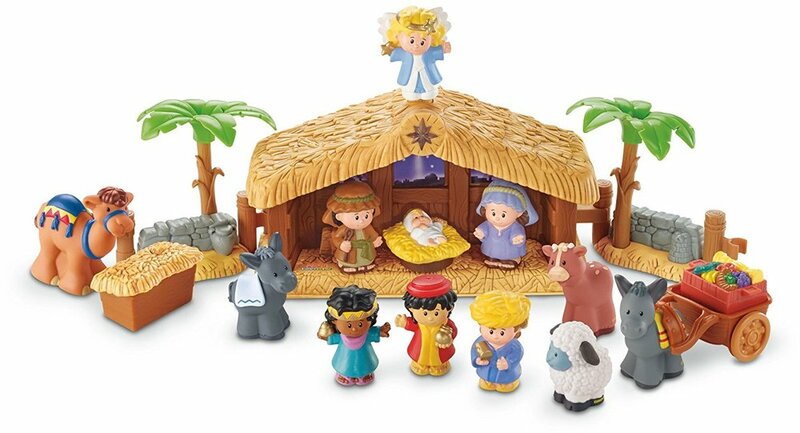 When Holiday was a baby/ toddler, she of course really loved the Fisher Price Little People Nativity set- I know this set has been well loved by many families. This last resource I have not used myself, however, The Jesus Storybook Bible is THE children’s Bible to own in my opinion. It is my very favorite first Bible for children and everything Sally Lloyd Jones does is fantastic! I was so excited to see that she offers a FREE digital download family Advent celebration based on the Jesus Storybook Bible! 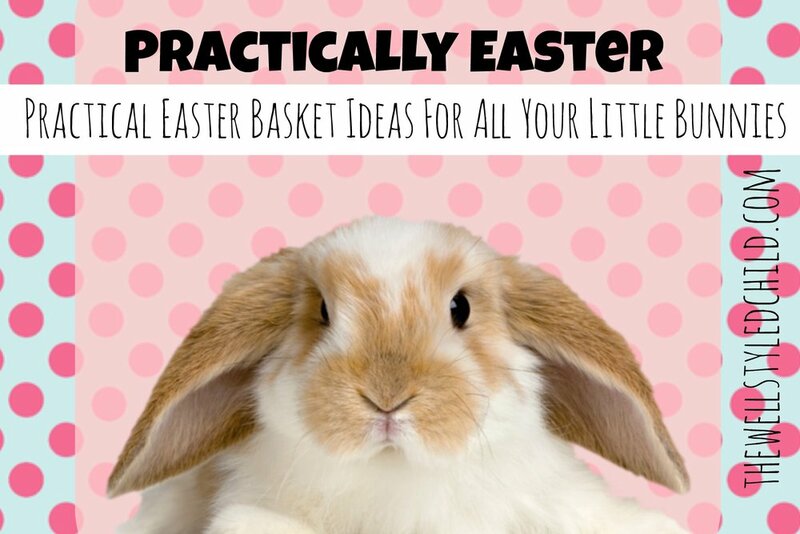 You can get everything HERE! 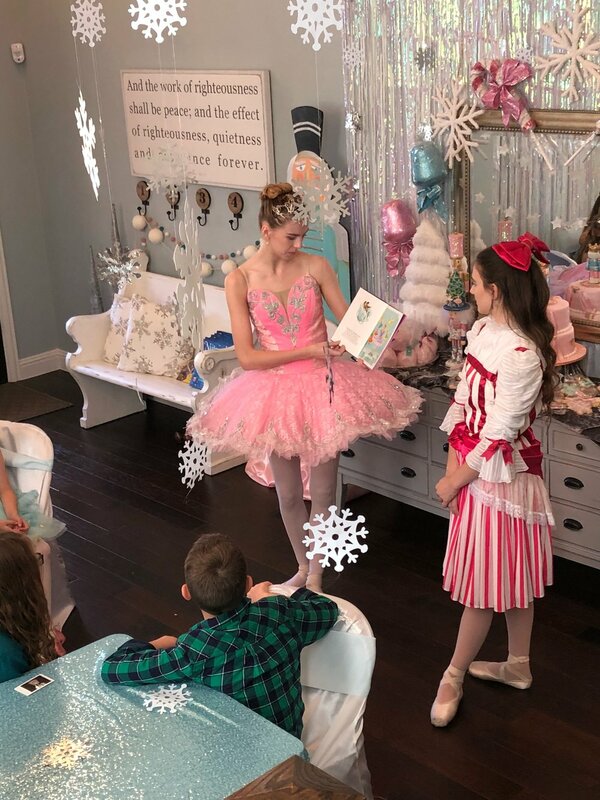 With Disney’s new rendition of The Nutcracker opening in theaters tomorrow, I thought it only fitting to share pictures of Holiday’s 7th Nutcracker themed birthday party! Nutcracker Snowball Ornament Craft Time! Senior students from Texas Ballet Theater came. They read a Nutcracker story and helped the kids become different characters from The Nutcracker! Nutcrakcer and Mouse King masks along with foam swords for everyone on the trampoline were a huge hit!